The Godzilla Ohrai Noriyoshi Poster Color Ver. SH MonsterArts Action Figure is Godzilla as envisioned by illustrator Noriyoshi Ohrai for the 1993 film Godzilla vs Mechagodzilla poster. 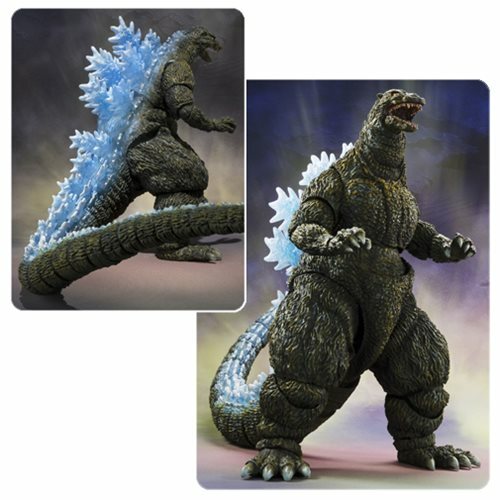 Featuring colors overseen by Yuji Sakai, this is a one of a kind piece for true Godzilla fans. The highly posable figure includes an optional set of hands and a special card. Measures roughly 6 1/3-inches tall.